Interesting recipe! I don’t think I’ve ever had cookies made with pineapple…they look great! i wished i had some of these right now with my coffee–can u send me some–hehe–they sound awesome!!! Mom these cookies look good. I love Scotchies and haven’t had them in ages. I’ve never had them with pineapple before. I bet that’s good. 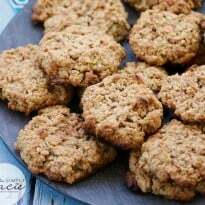 Love cookies, pineapple, oatmeal and butterscotch – fabulous recipe! Yum! I wouldn’t have thought of trying this combination, but it does sound delicious. The pineapple must add a bit of summer flavor, a perfect picnic cookie. Ive never seen or tried a cookie with pineapple in it – very interesting! Thanks for the share! I’ve never heard of a Scotchie! They sound delicious, I’ll have to try them! Pineapple and oatmeal is a combination I have never heard of before, but it certainly looks and sounds delicious, I’d love to try it. Thank you for sharing this recipe. mmm oatmeal is my fav cookie. I bet these are amazing! Thank you so much. Never would have thought to use pineapple but these sound delicious! That is a winning combination! I’m going to have to try these! Interesting…I never would have thought of this. While I’m not a pineapple fan, it’s one of my husband’s favorites. Pineapple snack cake and oatmeal cookies he loves. This just puts two of his favorites together. Can’t wait to surprise him with these sometime. These look so yummy! i’ve never had pineapple in cookies before. This is an interesting recipe . I have never put pineapple in my oatmeal cookies. Now I am going to have to try it. 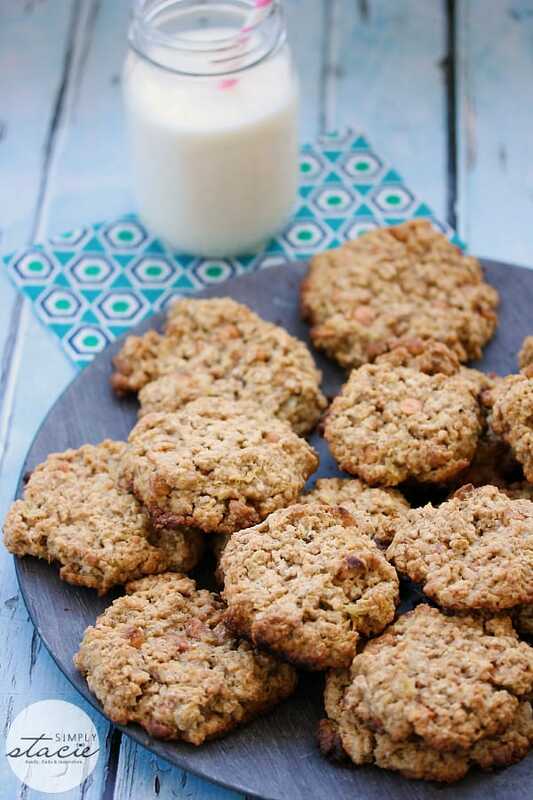 My grandchildren love to bake when they come over, we are going to give these a try. sounds like a delicious recipe! will have to try this! Mmmm look and sound delicious. I’ve never heard of these. They look and sound wonderful. I’ll give them a try! These cookies look delicious! I love the addition of pineapple. Awesome. Some good cookies would be awesome right now! I never thought about using pineapple, will have to try this! I’d never heard of scotchies before. These sound yummy, especially with the added pineapple. oh, yeah… going to have to try this one! Your photos with your recipes always make me drool. Another recipe to save, thanks for sharing. These look delicious! 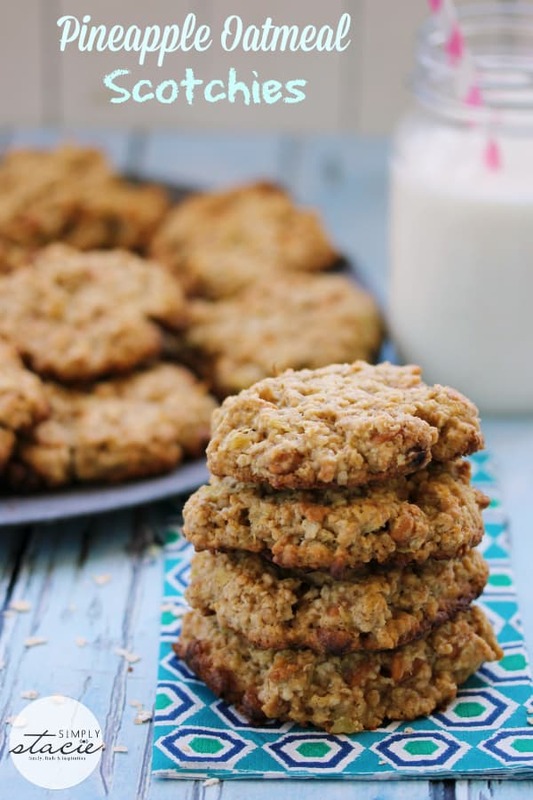 I’ve never thought about putting pineapple in oatmeal scotchies before! We made these for Mothers Day brunch! yummy! These sound delicious!!! Thank you for sharing your recipe. Whaqt a interesting recipe! NEver would have thought to put pineapple in thanks! I’ve never heard of pineapple in a cookie, but I dig oatmeal cookies so I may give this a try. Strange mix of ingredients. Trying these this afternoon. OMG! These sound incredible!! I’ll have to make them make them for my sister! She loves, Loves, LOVES pineapple! Thank you for sharing! These look good. I’m curious as to how pineapple and butterscotch go together.